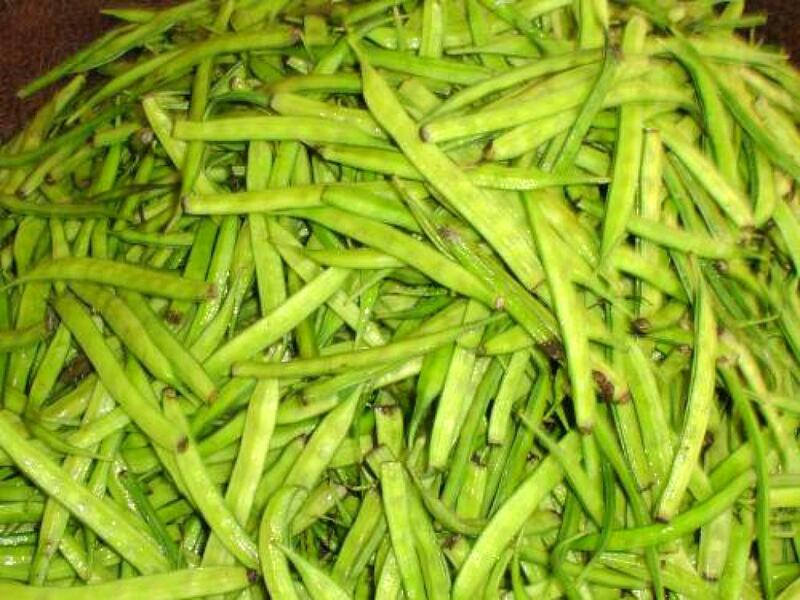 Scientists have developed a hydrogel from gum of guar (cluster bean) that can increase soil moisture and help farmers save their crops in case of water scarcity. Hydrogels are network of polymers that can hold large amount of water and are extensively used in diapers and sanitary napkins. Synthetic hydrogels are, however, not readily biodegradable and their degradation products are considered to be hazardous for environment. “The Guar gum-based hydrogel is biodegradable. Besides increasing moisture content, it adds organic content to the soil upon degradation,” explained Nandkishore Thombare, a scientist at Ranchi-based Indian Institute of Natural Resins and Gums and a member of the research team, while speaking to India Science Wire. The Indian Agricultural Research Institute (IARI) had earlier developed and successfully commercialised a semi-synthetic hydrogel, popularly called Pusa Gel. It was found to save water-stressed crops. “Our work is similar to previous research in principle but we have used a different starting material. Pusa gel uses cellulose and zeolites while we have relied on Guar gum,” Thombare said. The hydrogel was found to absorb up to 800 ml water per gram and improved porosity, moisture absorption and retention capacity of the soil significantly. Water holding capacity of soil increased up to 54 per cent of its original and porosity also increased up to 9 per cent of its original. A microscopic analysis of the newly-synthesised hydrogel showed spongy surface and both macro and micro pores which allowed direct penetration of the water resulting in higher swelling capacity as compared to non-porous and compact surface of guar gum. While the maximum water holding capacity of untreated soil was found to be 33.59 per cent, addition of 0.3 per cent of powdered hydrogel improved the capacity by around 54 per cent. Addition of hydrogel also lowered bulk density of the soil signifying increased porosity by 9 per cent. Higher porosity improves soil aeration and microbial count thus improving overall quality of the soil. “Guar gum-based hydrogels have a good potential in agriculture because of their high water absorption capacity and biodegradability. But the study does not mention the degraded products and post-polymerisation effects. The residual effect of grafters and crosslinkers on microorganisms is also not clear,” commented K S V Poorna Chandrika, scientist with agricultural chemistry department of the Hyderabad-based Indian Institute of Oilseeds Research, who is not connected with the study. The research team also wants to work further on the hydrogen it has developed. “We need increase shelf life of the product as its absorption capacity declines over time. Our next plan is to standardise the synthesis process of the product to address that issue. We also need to test its scalability,” Thombare said. In addition to Thombare, the research team included Sumit Mishra, M. Z. Siddiqui, Usha Jha, Deodhari Singh and Gopal R Mahajan. The study has been published in the journal Carbohydrate Polymers. Please provide details for sourcing Hydrogel so that it may be popularised among the farmers.